My latest article just published over at the Tenth Amendment Center. It examines the constitutional amendment proposals of retired Justice John Paul Stevens. To say they are dangerous would be an understatement. Following is an excerpt. You can read the whole article over at the Tenth Amendment Center. 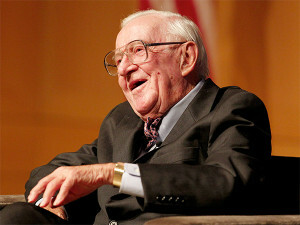 Retired Supreme Court justice John Paul Stevens wants to change the Constitution. Having failed to expand federal power to the extent he deems necessary through judicial fiat, Stevens wrote a book proposing six amendments to complete the task. Six Amendments: How and Why We Should Change the Constitution focuses on several issues including limiting the scope of the Second Amendment, abolishing the death penalty, reining in campaign spending and addressing legislative districting. But in a recent USA Today interview, Stevens makes it clear that limiting the states’ ability to resist federal power stands as his first and primary target. Stevens gets one thing right: amending the Constitution is the legitimate process to expand federal authority in the manner he desires. But it appears he only resorts to the constitutional process because he believes that cases involving these issues, as the USA Today puts it, “have been wrongly decided.” Failing to completely twist the meaning of the Constitution to accommodate his preferred policy positions during his 35 years as a SCOTUS justice, Stevens now hopes to jump-start an amendment movement to drastically expand the scope of federal authority.